President of Uzbekistan, Islam Karimov. Editor's Note: Andrew Stroehlein is Communications Director for the International Crisis Group. As Washington’s relations with Pakistan seem to hit a new low every week, the U.S. has been trying to compensate by improving ties with Uzbekistan to the north to shore up international efforts in Afghanistan. It is an understandable repositioning, but it is not one that will improve security prospects in the region. Step by step, the U.S. has been increasing its reliance on Tashkent. Already the “Northern Distribution Network”, which relies in large part on overland links through Uzbekistan, delivers over 50% of NATO’s non-lethal supplies to Afghanistan, a number set to rise to 75% by he close of 2011. At the end of last month, the Senate Appropriations Committee helped deepen commitments by approving an Administration-backed measure to remove seven years of human rights-related restrictions barring military aid to Uzbekistan. And to just keep things running smoothly, President Obama personally phoned President Islam Karimov last week to congratulate him on his country’s 20th anniversary of independence. Of course, no one is under any illusions about what kind of regime is fast becoming central to the U.S. strategy in Afghanistan. The State Department’s most recent Human Rights Report on Uzbekistan in April made it clear enough. It described the country as an “authoritarian state”, where torture is “routine”, freedom of speech and association are non-existent, independent political activity is impossible, and state-imposed “forced child labor in the cotton sector was widespread”. The odious character of Karimov’s regime is clear, but, the reasoning goes, sometimes you have to hold your nose and deal with nasty dictatorships to achieve foreign policy objectives. NATO needs a supply route, and the fact that Uzbekistan literally boils its critics alive does not change geography. Unfortunately, holding your nose in this case also seems to mean shutting your eyes - not just to the extreme abuses of the Uzbek regime but to what the security implications will be for U.S. policy in Afghanistan and the wider region. It is as if the U.S. has not learned one of the central lessons from its own history of international affairs: relying on dictatorships for regional policy objectives is short-term thinking as best, and at worst makes you long-term enemies. Look at the Iranian revolution, after which popular hatred for the U.S.-backed Shah turned into lasting anti-Americanism that was so strong it became one of the pillars of the Iranian regime’s legitimacy for two generations to follow. See how fervent and blinkered U.S. support for Pakistan’s military dictator Pervez Musharraf for so many years helped dig the hole the U.S. finds itself in there now, with an army and intelligence partner not just unreliable but openly hostile, and the country itself on the brink. Or look at the Arab Spring today, where U.S. support for people’s former oppressors complicates Washington’s hopes of winning new friends among the emerging political elites. The short-term thinking of this move to put so many more Afghan eggs into a rotten Uzbek basket is a policy of desperation, driven by frustration at the apparent lack of options for a single need: a supply route. But even in this one objective it is doomed to failure. The land route actually boils down to a single border crossing at Heiraton, Afghanistan, and is thus extremely vulnerable to militants. One day, the Islamic Movement of Uzbekistan, one of the larger jihadist movements fighting in Afghanistan, may decide to do something about this bottleneck. If that happens, there are few, if any, alternative crossings. For this weak, and probably temporary, supply point, Washington is willing to close its eyes to the oppression and corruption of the Karimov regime, which, when it ends, will surely do so very violently precisely because of its very nature. 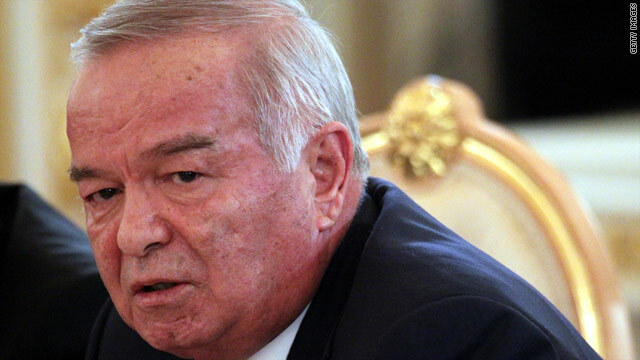 Not only is there no post-Karimov succession plan in place for an old, and by all accounts unwell, ruler, there is a fundamental axiom at work: the more brutal the dictatorship, the more likely its end will be associated with mass violence. Embracing one of the world’s most brutal dictatorships is no way to bring security to Afghanistan. If, after ten years of demonstrably failing to stabilise the country, the U.S. and NATO wanted to start moving that country in a positive direction, they would have to instead radically change their entire approach to the Afghan government. They would have to focus all efforts on getting it to be responsible and responsive to its own people and on engaging the Afghan public in the peace process. Only such moves have a chance of drying up the source waters of the Afghan insurgency, not hoping you can cut a quick deal with an enemy that sends suicide bombers for peace negotiators. That is long road to go down, to be sure, but it would ultimately prove to be a more reliable road than one that leads through a dangerously abusive neighbouring country always just one heartbeat away from violent collapse. The views expressed in this article are solely those of Andrew Stroehlein. Here we go again, Uzbekistan, the newest square on the geopolitical chess board. A problem that becomes a solution to cause more problems. Can we try something different for once! The reality is that there are far too many problems with absent or insufficient solutions. And much like new medicines that are supposed to provide a cure, the potential side affects of solutions are simply frightening. So like a new medicine, here is a suggested solution to begin solving global problems; and it sounds terrifying. Where borders are in dispute, "temporary" borders shall be drawn and respected. weapons from the masses with strict rules and a swift response to violations. Achieving international stability on a military level is the first phase of the program. Resolving boundary disputes and internal conflicts on a permanent basis would be phase two of the program. The third phase would be for all nations to resolve their internal domestic affairs. And the forth phase would be to move on to other global problems. Because if you cannot even keep your own home in order, how can you possibly be expected or trusted to look after your neighbors'. Is this a crazy pipe dream notion or what? Andrew Stroehlein -if I were your Boss I would Fire you for your –article , a piece of Advice for you Andrew--before writing any Article about anything Learn , about Nation, Intrenational Politics, Economy, Millitary . Are you able to critisize your Uzbek corrapted goverment or corrapted police or corrapted journalism living in Uzbekistan? Not, of course. I don't know where are you living, but I'm in USA and I love this country for freedom of speach. Good article and it is true about the situation in Uzbekistan. I couldn't find any words about comparison of Uzbeks with Iranians???? The countries in Central Asia are all autocratic, which – far away from European influences – for centuries had been under Russian influence till 1991. Due to their natural resources – oil, gas and minerals they are coveted by many in Europe and Asia. It's regarded as their backyards both by China and Russia. The Human Rights record in Uzbekistan is not clean, but not worse than the one in Chechnya under Ramzan Kadyrov, who has rebuilt Grozny with Russian aid. Here’s an ABSOLUTELY GREAT “MUST WATCH” video from a well known Astrologist PREDICTING way back in 2009 the INEVITABLE GREAT CLASH between AMERICA & PAKISTAN in 2012 leading to the DESTRUCTION OF THE PAKISTANI STATE!!! Even though I am myself deeply skeptical about astrological predictions, it’s ASTOUNDING to see how this ASTROLOGIST FORESEES the sequence of events based exclusively on the PAKISTANI PSYCHE of DECIET & GREED, and correlating that with the astrological line up for the Pakistani state using various calendars including the Mayan calendar.. If we look at the EVENTS UNFOLDING RIGHT NOW we can only wonder JUST HOW ACCURATE THE PREDICTIONS SEEM!! What our policy makers and intelligence sleuths forget (at least until now!) is that the brain behind most terror acts involving SOPHISTICATED PLANNING incl. tracking down the helicopter that carried Navy Seals from Team 6 (if not the act of shooting down itself), terror acts of 9/11, 7/7, 26/11, Anthrax attacks(? ), attacks on the US and Indian embassies in Kabul, attack on the US base in Kabul, attack on the guest house housing Indians in Kabul......just to name a few, are all the handiwork of the intelligence sleuths of the ISI and their support network of highly educated Pakistanis all over the world. So the danger of a Nuclear device exploding in our cities, a chemical/biological attack, cyber warfare etc. does NOT come from these Madarasa/Koran educated Islamic radicals in the ravines of Af-Pak, BUT from the outwardly moderate Pakistani Diaspora such as Afia Siddiqui, Saleem Shehzad, or A Q Khan, etc. educated/employed in premier schools/companies right here in America and Europe. Until we clearly recognize that danger, put aside political correctness to deal with that threat (much to the dislike of Islamic supporters like Mr. Fareed Zakaria!) we can never ever be free from our EXISTENTIAL threat! What Admiral Mullen is saying, is something the Indian and Afghan govts have been howling about (in broad daylight!) for long, and something that every Afghan & Indian ON THE STREET have known loud & clear for several decades! Even though we erred big time sinking in trillions of $ (money that we ourselves don’t have! ), sacrificing 1000’s of our brave men & women on a relatively non-existent threat from Saddam Hussain, it's HIGH TIME that we RE-FOCUS our energies to RID THE WORLD of this single biggest EXISTENTIAL THREAT – Pakistan! While president Obama (even as a Senator) had foreseen this all along, he was thoroughly MISGUIDED into taking a foolhardy approach by both his internal advisors (John Kerry, John McCain, Rashad Hassan-US Ambassador to OIC, Imam) & external advisors (Fareed Zakaria, Imam Rauf-US goodwill Ambassador to the ME). While John Kerry as the ARCHITECT of the KERRY-LUGAR Bill promising billions in aid to Pakistan was at best NAIVE in his approach, or at worst PLAIN STUPID, the other well known Islamic supporters (with an unmistakable anti-American bias) Rashad Hassan, Imam Rauf and Fareed Zakaria had their own reasons to protect their brethren be it in Pakistan or anywhere across the globe! It's absolutely high time we get our act together and cut the head of this dragon which is the only way we can ever nullify this threat by DIVIDING PAKISTAN, SEIZING its ISLAMIC BOMB, and limiting their Diaspora in the west. UNTIL THEN WE CAN ONLY HOPE THAT AMERICA CONTINUES TO ENSURE THE PEACE & SECURITY OF ALL FREEDOM & PEACE LOVING PEOPLE ALL OVER THE WORLD! The one & only we can tame this Islamic monster is by DIVIDING Pakistan, seizing its ISLAMIC BOMB, and limiting Pakistani Diaspora in the west. Short of that the west will never ever be free from their EXISTENTIAL THREAT! Here is some more info which shows that efforts are already underway to do just that! Pakistan is today just a confederation of diverse peoples, Sindhi, Punjabi, Baloch, Kashmiri, Pakhtoon etc. all loosely held together by their common adherence to Islam. Remove the manipulation of the dominant Punjabis, and by themselves, the Baloch, the Pakhtoons and even Sindhis do not view India as an arch foe. These independent states can in fact act as an effective check on all forms of Punjabi extremism emanating from a fractured Pakistan. The same happened when the erstwhile E.Pakistan (now Bangladesh) was broken away from the Punjabi dominated W.Pakistan with practically no great effort from India. There is already a clandestine effort led by the US to do just that! By the Center for International Policy on what makes Pakistan highly unstable. My fellow countrymen. The demise of Pakistan has been greatly exaggerated. Inspite of all the ramblings in this forum, Pakistan has emerged as a major military force in Asia. Now just think India (10 times its size) has positioned 80% of its defence capabilities against Pakistan on the western border. Says it all. Dont be like Herman Cain. Visit our blog, get more informed. We provide links to interesting happenings and events and much more. ALL FOR FREE !!!! Insanity !! To quote Hermann Cain: Ooozz-beka-beka-beka-beka-beka-beka-beka-beka-beka-beka-beka-beka-beka-beka-beka-beka-beka-beka-beka-beka-beka-beka-beka-beka-beka-beka-beka-beka-beka-beka-beka-beka-beka-beka-beka-beka-beka-beka-beka-beka-beka-beka-beka-beka-beka-stan. And if he gets the nod, I'll vote for him! Anybody as long as it's not Jimmy Carter - er, Barack Obama. Sorry. It's too easy to get them mixed up. They're so much alike. Hi everyone. I also wanted to go to Uzbekistan. I was looking for the Uzbekistan tours and travel agencies. After some searching I have found it! I would recommend you this site, there you can choose a tour, and the prices are reasonable.